Go for the most amazing Flower delivery service in Pune by choosing the local florist of MyFlowerTree. 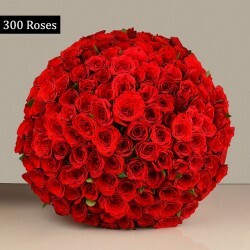 We have been catering to deliver flowers online in Pune with the best florists in town. We are sure they will be incredibly amazed with your floral gifts and would make their celebration memorable with your personalized messages going along with the flowers. Gifting flowers on special occasions never go out of fashion. In fact, they are sweetest as well as safest gifts given that will be liked by anyone. Also, when you are having a celebration it is impossible without these lovelies by sending a delicious cake along with gorgeous flower arrangements. So, we bring to you the facility to buy the best of scrumptious cakes as well as beautiful bouquets and you can Send Flowers to Pune just with a few clicks online. Whether you need to buy them or send them to your near and dear ones on special occasions, we provide Online Flower Delivery In Pune at their doorstep. Delivery available for all region in Pune Same day delivery for many products Midnight cake delivery for surprises So, now get Online Cake Delivery in Pune with just a few clicks and make your loved ones smile on receiving the surprise. Pune is the city that has a great British influence on it. It is also known as the cultural capital of Maharashtra. It is the land of the Peshwas. Pune holds an important place in the history of India. It gave us a well-defined political system and fearless warriors. Pune is a city of the most hardworking people and deserves everything great. We have an assortment of exotic Flowers which are collected from different regions of the world. Our hand gathered bunches and Bouquets could be delivered to you within 3 hours. Our flowers are sourced from the most fertile farms of the world to ensure their worth. All the flowers go through a quality check which means only those with the highest pigment rate, sweetest fragrance and delicate texture are used to make the floral arrangements. Being the best online florist, we let our customers to Personalise and Customise the Bouquets as per their needs. We have flowers for every pocket. From a single Rose to an exquisite amalgam of dozens of Flowers, you can find many floral arrangements here. 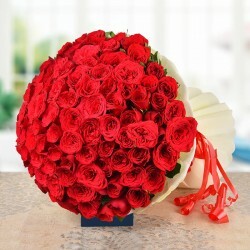 We deliver Flowers online at the doorstep of your loved ones. This means that you can surprise anyone without going anywhere. Wouldn't it be great if you could team up Flowers with the best Cakes in the world? 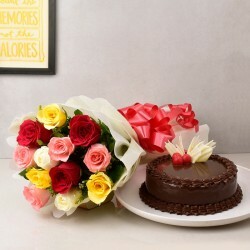 At MyFlowerTree, sending flowers with cakes to Pune can easily be done. With our Flower and Cake combos, you can make any occasion like Valentine's Day, Birthday, Anniversary, Raksha Bandhan, etc, amazing for your loved ones. When the surprise has a beautiful Bouquet of Flowers and the most delicious Cake, it becomes the best surprise in the world. With online flower and cake delivery in Pune, give the best surprise to friends and family. If you are in a lookout for a perfect blend of freshness and sweet pleasure, then combining flowers and chocolates is the best thing to do. 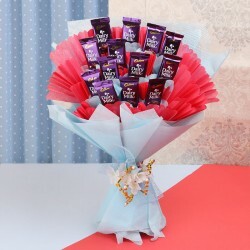 Make for a great combo by sending flowers and chocolates together someone you know in Pune. Every celebration seems incomplete without flowers. And when you pair flowers with Cakes and Teddy Bears to bring that cuteness quotient and make their every celebration special and memorable. So what's holding you back? Just go for this fascinating combo and amaze your affectionate ones. The adorable combo of Flowers, Cakes, Teddy and Chocolates is a sure shot delight and a perfect charmer for any occasion you choose to send them on. It has it all! Right from freshness of flowers, sweet delight of Chocolates and Cakes and the warmth of a cute and cuddly Teddy bear. No wonder this is going to steal their hearts away. Whether wrapped in paper or just handed out in the raw form, Flowers are always wonderful to receive. If you are planning to send Flowers to a loved one, why not decorate them in a beautiful Glass Vase? Send them beautifully decorated Flowers in a Glass Vase and make someone's ambiance better than before. The craze of wishing a loved one as the clock strikes 12 will never fade. For how long have you been calling them as the clock goes 12? It's time to move forward and plan a full-blown surprise for them. 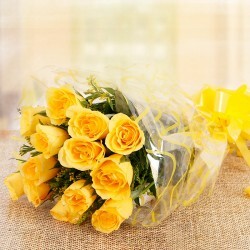 With midnight flower delivery in Pune, you can send someone a beautiful and positive surprise on their Birthday. Let the burst of colours and fragrance be the first one to wish them a Happy Birthday. 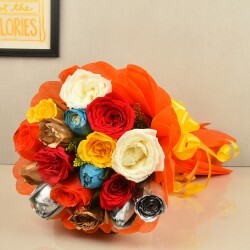 Online Bouquet Delivery in Pune takes a new turn as we introduce same day delivery. 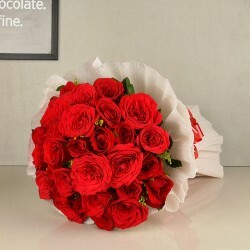 Yes, you heard it first here that now, you can send beautiful Flowers to anyone in Pune without placing an advance order. Same Day Flower delivery in Pune is a blessing for those who love giving spontaneous surprises to their loved ones. Midnight and Early morning delivery is also available for a grand surprise. The various custom delivery options we strive to offer on our products also includes faster options such as Early Morning and Express Delivery. While Early Morning delivery option involves surprising your beloved ones in the early hours of the day, our Express Delivery Service includes delivery of your flowers, cakes and gifts in just 3 hours of placing the order. Flowers make for the perfect gifts for any occasion. Whether it is someone's birthday, a couple's anniversary or any other day of celebration, you are at a privilege to send flowers for Birthday, Anniversary or any other occasion. Book floral gifts online with us for your loved one's celebration and you are good to go! No matter what the occasion is, Valentine's Day, Father's Day or Women's Day, you can easily send flowers from among our wide gamut of floral collection and astonish them with our alluring all-occasion gifts. What are the flowers available in the Pune City? You can shop for many adorable floral varieties online at our online flower shop. Right from Roses, Gerberas, Orchids to Carnations and Lilies, we deliver them all! Where all can the delivery be made? With our widespread delivery network spread across whole of India, we cover the entire Pune city, be it Viman Nagar, Alandi, Model colony, Shastri Nagar, Wagholi or any other place in Pune. 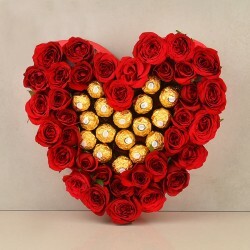 Can I order the flowers and cakes for the same day delivery in Pune? Sure you can! We have many custom delivery options made available to you including Midnight and Early Morning delivery. Fixed Time Delivery is also available for you to choose and send flowers in the time slot selected from among the 4 fixed time slots available. What are the delivery options and charges in Pune? We do not charge anything shipping your floral gifts. We offer Free shipping not only in Pune city, but all over India. No delivery charges are applicable for Standard Delivery or for Same day and Express Delivery. What all can be sent along with the flowers in Pune? Offering a wide selection of flowers available at our online flower shop, you can always send them along with our other gifts such as Cakes, Chocolates, Teddy Bears, personalized gifts and more. Just pick your occasion and send the perfect one to your dear ones in Pune. When your beloved is in Pune, it might be difficult for you to be together. But now with MyflowerTree, no more difficulties are in the way. 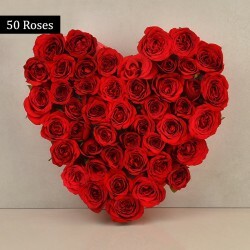 You can send loveliest and extremely beautiful Valentine Flowers to Pune to make your beloved feel special in every way. You can pick the most gorgeous and fresh flowers from our reliable florist and send this beautiful wrapped bouquet to your other half residing in Pune. Along with magnificent range of flowers, you can also go for extremely delectable and delicious Valentine Cakes Online Pune from MyFlowerTree. Our delectable, mouth-melting cakes works as a mood elevator for your beloved, you can choose some of the premium, freshly baked cakes of different tastiest flavors and tempting crafted designs that are hard to resist. So just go for surprising your lover in Pune with a combo of fresh flowers and delicious cakes. Products in this category have been rated 4.7 out of 5 based on 117 reviews.